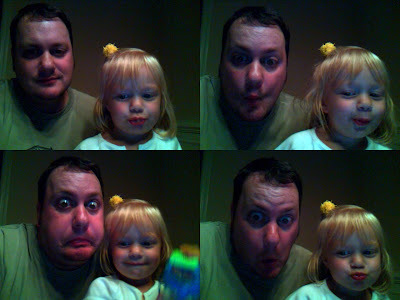 My niece and I were fooling around on the webcam. but her uncle is such a freaky-looking blow-fish. it's the same scary scenario that i have with my baby. Yeah, you'd think Dateline NBC would've intercepted this blog post or something. I see that the years have not been kind to your hairline either, Micah. not to sound like a third-rate art critic, but is Dateline getting a tad bit fixated on its own voyeurism? 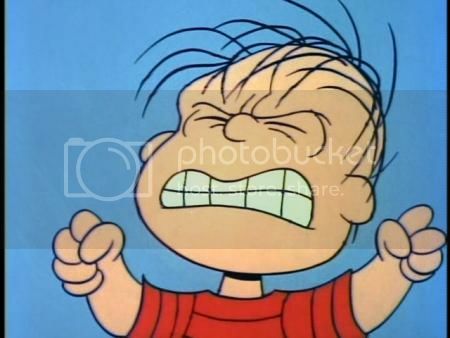 reg - It happens to all of us. I'd go ahead and shave it all off, but I fear that I'd end up looking like Uncle Fester. jasdye - Yeah, it's kind of ridiculous. I heard about the "will people steal unattended iPods" episdoe. Jeez. wooly - You're too much! Are you ready for some college football? "Pepper Jack, are you serious?"